Developing a solid strategy for modern slots games is particularly difficult, because all games are built around a random number generator that ensures no predictable patterns emerge. 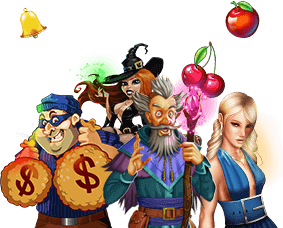 As a result, the best way to get the most out of your time with Cash Bandits 2 is to evaluate your bankroll and choose a wager that will allow for a solid play session, regardless of whether you get on a hot streak or have a run of bad luck. Wild Symbol: Cash Bandits 2 symbols are Wild, and count for any other symbol but scatters. Stacked Wilds may appear, which can fill a reel. Scatter Symbol: the Robber. Three or more scattered robbers activate the interactive Vault Feature: 10 Free Games with doubled prizes, and all scatter symbols count as Wilds. (Any scatter win is paid out before turning wild). Vault Feature: Three or more scattered Robbers trigger this this feature. During the Vault Feature, 5 vaults and a keypad are revealed. Each vault requires a random 1, 2, 3, 4 or 5 digit code to open it. You can select either 5, 6 or 8 numbers from the 10 ¬digit keypad for 3, 4 or 5 triggering scatters, respectively. Any corresponding numbers in the combinations will lock. 5 free games are initially awarded, with a free games prize multiplier of x2. Completing the 1, 2, 3, 4 or 5 digit combinations on the vaults adds 5, 10, 20, 50 or 100 free games, respectively, and will also increase the prize multiplier by 1, 2, 3, 4 or 5, respectively Any retrigger adds 5 free games to the current feature. Free games are played at the lines and bet of the triggering game.